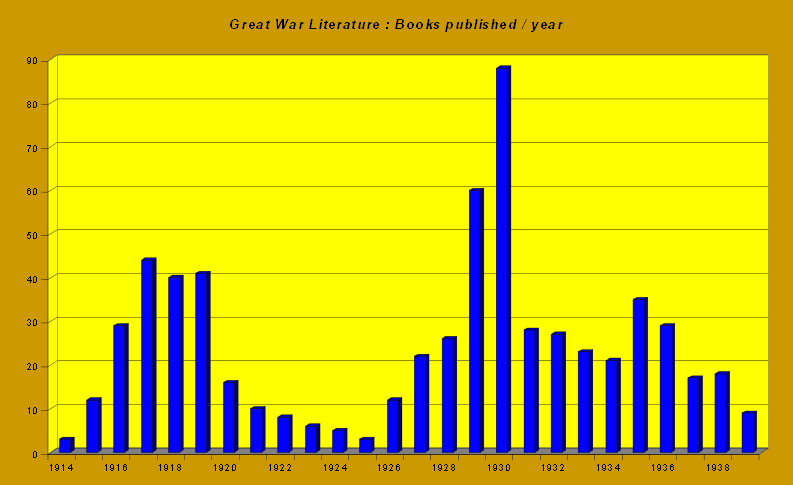 This graph was compiled from the first 632 books to be entered on the site. 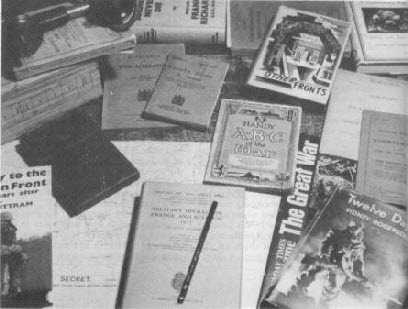 The rise in the graph in the mid - 1930’s seems to be largely due to the number of flying memoirs published at this time. 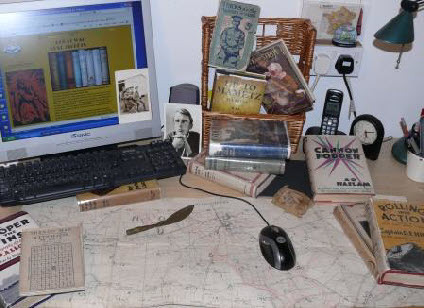 On the left is the desk of Peter Scott when he was the editor of the Western Front Association journal ‘Stand To’ back in the early 1980’s & on the right my desk in early 2010, both rather staged but showing some rare gems.